There certainly are some people who find it quite difficult to say that they are sorry. They realize that they are wrong but are too proud to confess they made a mistake. Sometimes, your stubbornness can become your enemy. Friendships, families and relationships can be ruined because of your inability to say one simple word. But if you made a serious mistake by deeply offending someone with your words or behaviour, saying sorry won’t be enough. You have to show that you regret what you’ve done with a kind gesture. Any ideas? 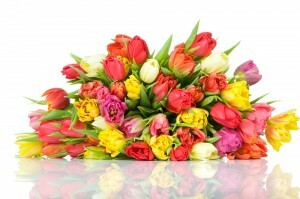 Well, Flower Shops has one – send Sorry Flowers with a heartfelt note to them. This might help if the person you offended doesn’t want to talk to you or take your calls. If you recognize yourself in the Say Sorry with Flowerslines above, you might want to acquaint yourself with the variety of flowers we offer and the power they have in solving such difficult situations. Well, you’re already here reading this article, which is a good sign. It means that you know you acted badly and you want to apologize. A good piece of advice is to be sincere in the note attached to the Sorry Flowers you’re going to send. Own up to what you’ve done incorrectly in an honest, apologetic manner. Hopefully, our magnificent flowers will do the rest. Let’s keep our fingers crossed and our mind positive that everything will go back to normal. It may even improve! We’re on your side, so are our wonderful flower arrangements. Another thing that can be in your favour is if you somehow try to find out what the favourite flowers of the person you insulted are. It will mean that you made an effort and tried because you care. If it’s still not enough, at least it will be appreciated and remembered. It will surely add something to the overall healing process. You might need to send flowers regularly until you receive forgiveness or even buy some other present; it depends on how hard you’ve messed up. One Say Sorry Bouquets thing is for sure, you shouldn’t wait for the problem to solve by itself. What you should do is take actions by sending the right flower bouquet, preferably a big and magnificent one in order to express your deep regret. 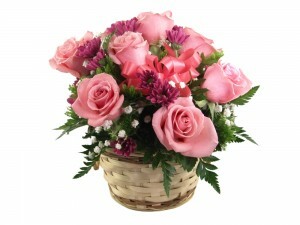 Our flower delivery services are the ones for you because we understand the situation you’re going through. Everyone makes mistakes, but not everyone is willing to correct them while there’s still time. Reaching the decision that you have to send Sorry Flowers and to do it through our company is one true way to fix things. We would like to congratulate you on that! Don’t think that Flower Shops doesn’t highly value your support. In fact, we feel that we have to answer your expectations to the utmost extent because you entrusted us with this mission and made us part of your life. And our florists will do the best they can to arrange a one-of-a-kind flower bouquet consistent with your requirements and imagination. When it comes to flowers and the beauty they carry in them, too many is not an option. How can somebody be fed up with them when they are so wonderful, colourful and just so cheerful? There’s plenty for every taste in every hue possible, so there should be something for the person you’re trying to apologize to. Now, you know what to do, and you’re ready to send the flowers. One last thing that has to be done is to make a simple phone call to our number: ‎020 3900 2440.